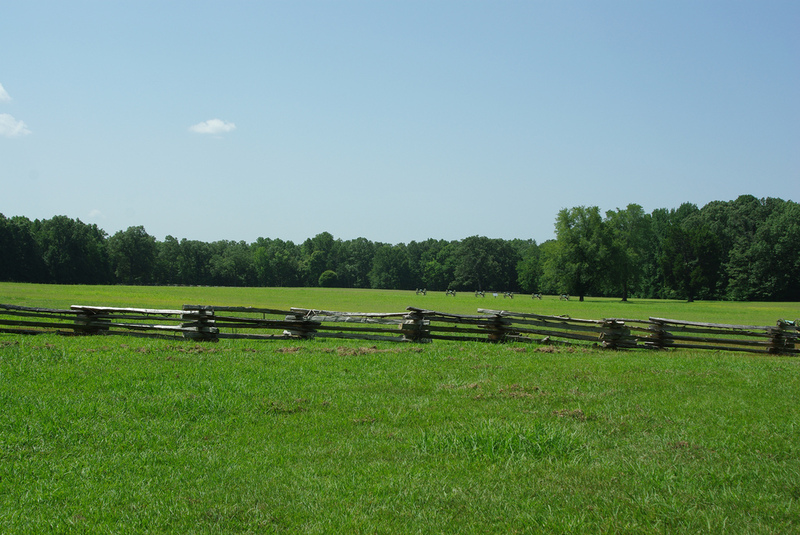 150 years ago today, Captain Michael Magevney Jr. and his company were positioned near Pittsburg Landing, Tennessee. The Fermanagh native commanded the ‘Jackson Guards’, a largely Irish unit which formed Company C of the 154th (Senior) Tennessee Infantry. Nearby, 25-year-old James Real from Oola, Co. Limerick, proudly gripped the flag of the regiment. The previous day had seen the 154th engaged in hard fighting, having taken part in the largely successful Confederate assault against Federal positions around the Landing. However, the second-day of the Battle of Shiloh was now about to commence, and the scales had tipped against Magevney, Real and their comrades. 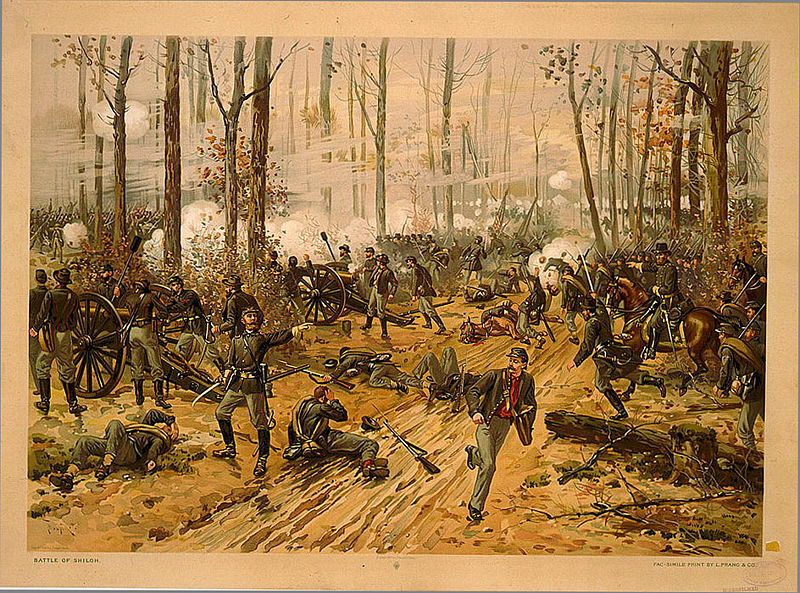 Shiloh is often seen as the first major battle of the American Civil War- the point at which both North and South began to realise the slaughter they had unleashed against each other. Whatever the truth of this, for the Real family of Oola, Co. Limerick, the battle would forever recall memories the personal family tragedy that befell them there, 150 years ago today. 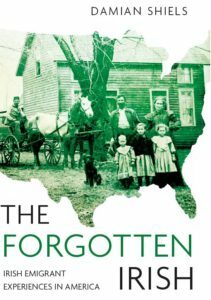 *I am indebted to Jim Swan, who through his history of the 90th Illinois Infantry and personal correspondence first alerted me to the story of the Real family in the American Civil War. Civil War Centennial Commission of Tennessee 1964. Tennesseans in the Civil War. Part 1. Damian, this is a very nice post about James Real. Thank you for taking the time to put together the information to write it! I’m sure that Chuck, a living descendant, will be pleased with it. I posted a photo of the Tennessee monument at Shiloh on my facebook page. It seems to commemorate the James Real story, as it shows a fallen flag bearer relinguishing his burden to some comrades. Thanks Jim! They are some great pictures you have from Shiloh, especially the monument. I hope to get the chance to visit the site someday. I just posted a pciture of James Real to my Facebook page on the 150th Anniversary of his death. Thanks for getting in touch! I would love to see what James looked like was it taken during the war? An interesting sidelight: Tom Sweney commanded a brigade at Shiloh and Colonel Richard Lynch commanded the 58th Illinois in Sweney’s brigade. Both were very active Fenians in the Canada expedition…. Absolutely! Sweeny was some character, it is not many men who would try to beat up a superior office with only one arm! He is another man who deserves to be more widely known than he is. 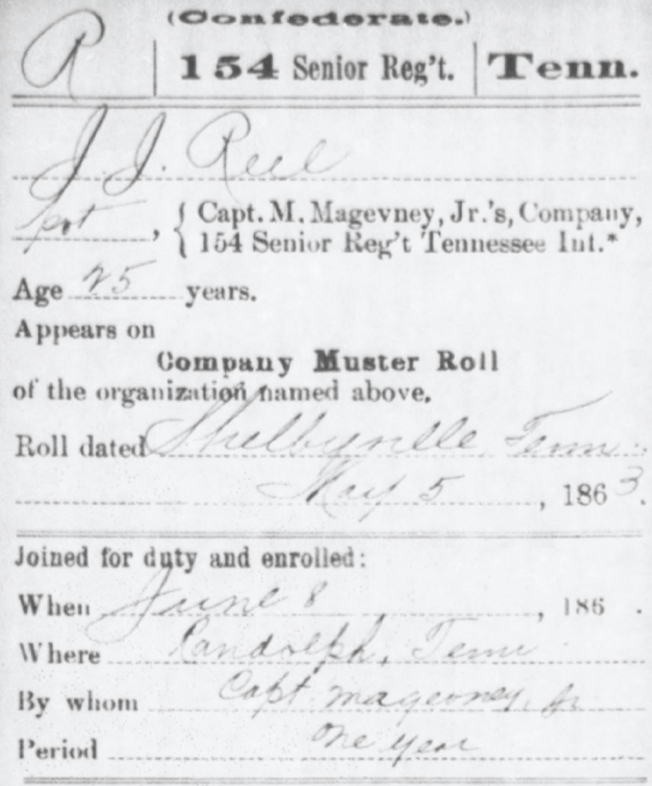 The muster has a clear “3” in the Roll Date year blank, along with “May 5th” — both conflict with the Shiloh battle of April 1862. Options to explain include the day, month, and 1863 being wrong, this muster record is another soldier named J. J. Deal, or other issues that I cannot conjure. If this Deal was 13 at immigration, then he would have been 25 in 1863, as the muster record shows. Since this roll date is well after Shiloh, one wonders at the source(s) of the difference. Many thanks for the comment. You are quite right, the muster was in 1863 but this is quite common- men who had been killed earlier would be often be listed, with their fate then described. This is the case here, with in the remarks on the roll to explain his absence it is recorded he was killed at Shiloh.